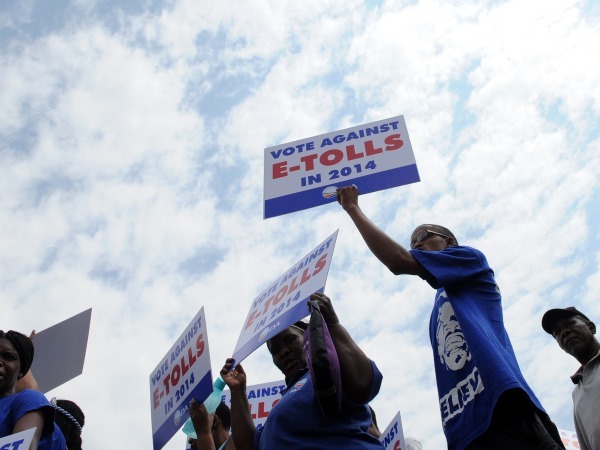 Provinces should be able to debate the e-tolling bill because it affects them, the Western Cape High Court heard on Tuesday. Willie Duminy, for the Democratic Alliance, argued that the Transport Laws and Related Matters Amendment Bill passed the test of being tagged as a matter for provincial debate in Parliament. "It cannot really be denied by the present respondents that this entire system of tolling and raising road user charges affects profoundly the interest, concerns and capacities of provinces," he said. President Jacob Zuma signed the amendment bill into law in September, in effect opening the way for e-tolling in Gauteng. The bill amended the SA National Roads Agency Limited (Sanral) and National Roads Act to allow the collection of electronically recorded tolls and the implementation of the electronic toll collection system. "The proposition of the applicants... is that these measures make it possible to establish this open road e-tolling system, and that in itself extends the scope, in practical purposes, of where tolling can be implemented," Duminy said. The bill was tagged as a section 75 bill -- to be debated only in the National Assembly -- rather than a section 76 bill, which is debated in both the National Assembly and the National Council of Provinces (NCOP). The DA's application is to have the bill declared unconstitutional and invalid because it has not been passed according to proper procedure, which would be with input from the provinces. The respondents in the application are Zuma, the Speaker of the National Assembly Max Sisulu, NCOP chairman Johannes Mahlangu, Transport Minister Dipuo Peters, Sanral, and the National Treasury. Duminy argued that there were different voting methods for section 75 and section 76 bills, and that a bill passed in the first instance may not pass in the second instance. The political party's legal argument is based on the Constitutional Court's test for tagging bills, as established in Tongoane versus the minister of agriculture and land affairs. Duminy said that in this judgment, the court stressed that legislative competence was not the key to unlocking when section 76 should be used, but that it lay rather in those measures that substantially affected the provinces. "If there is doubt as to how a bill should be tagged, Tongoane strongly suggests that the benefit should be in favour of enhancing, not diminishing, the role of the provinces." If the case is successful, the law would need to be sent back to Parliament for deliberation for a second time. In terms of remedy, should the application be successful, the DA said it would have no problem in principle with suspending a declaration of invalidity for up to 18 months to permit Parliament to pass the amendment act anew. This meant Sanral would be obliged to repay all tolls paid in relation to the amendment bill. "It is submitted that, if the court suspends the order, the amendment act should continue to apply, with one exception: there should be a moratorium on prosecutions of any crimes that rely on presumptions," Duminy said. He said it would be unjust to prosecute a person for non-compliance with the act if it was unconstitutional. Should the amendment act not be re-enacted within the suspension period, the DA felt the declaration of invalidity should take effect and be fully retrospective. Convictions based on the amendment bill should then also be set aside.